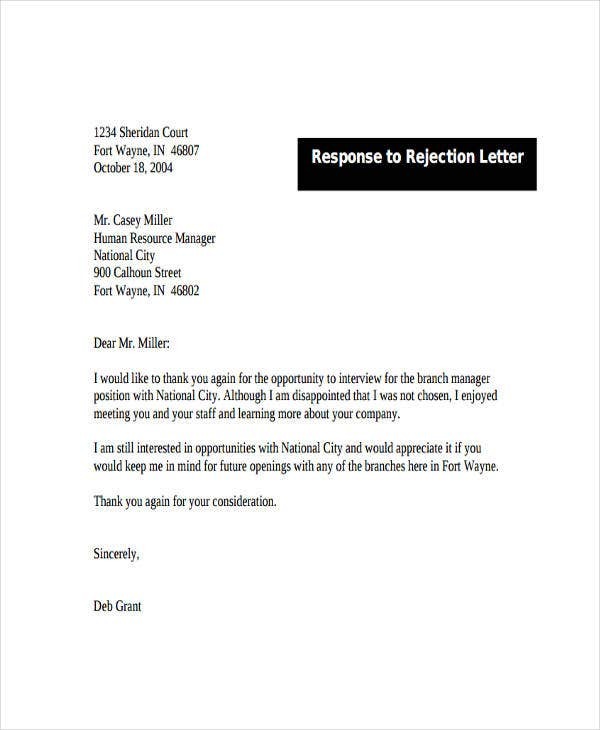 A polite rejection letter is a way to inform an entity whether an offer or a proposal has been declined, rejected, or refused. 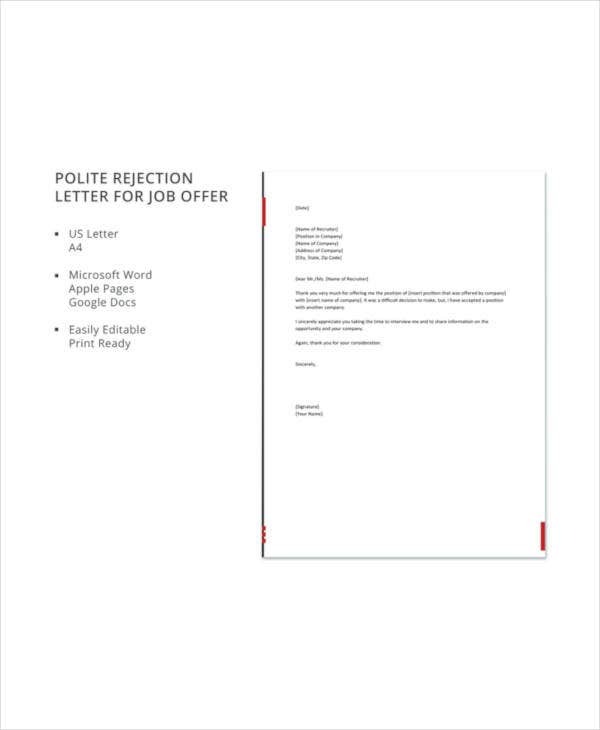 A Professional Rejection Letter written in a polite manner can help make the rejection transaction more business-like. 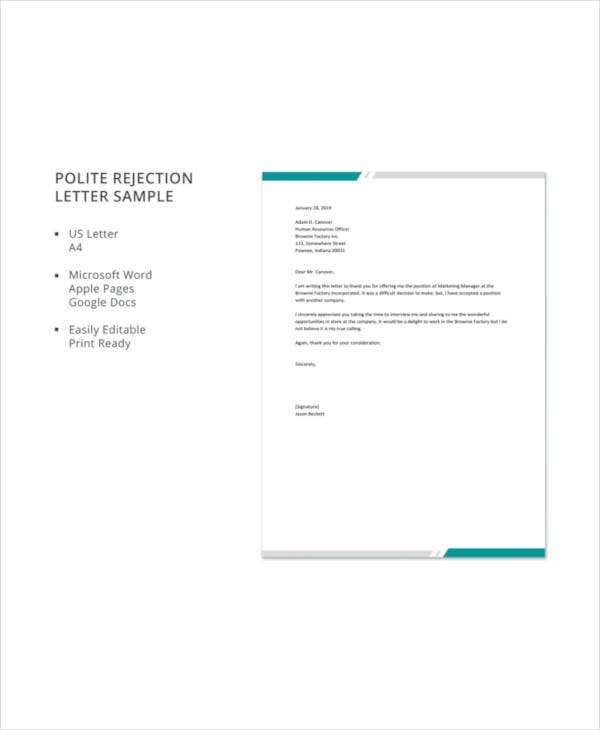 There are different kinds of polite rejection letters which may be used in varying situations. 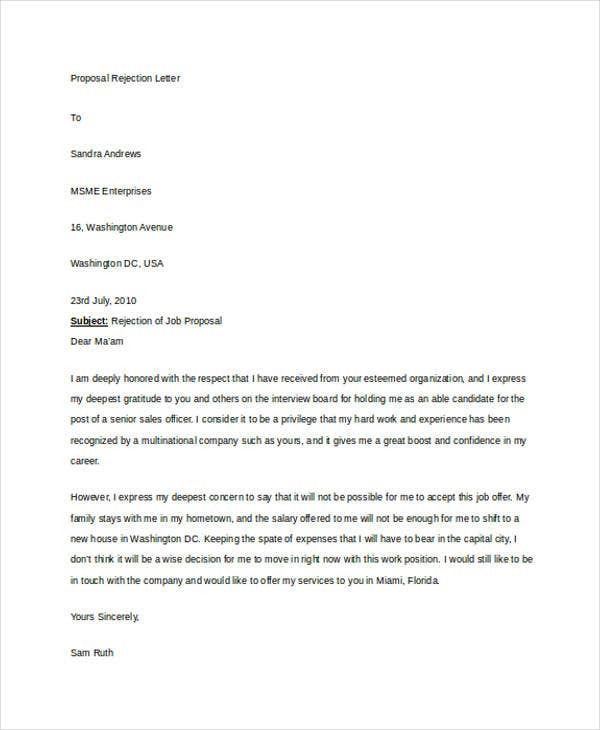 This post is a collection of polite rejection letter templates and samples that you may use as reference in creating the Polite Rejection Letter that you need. 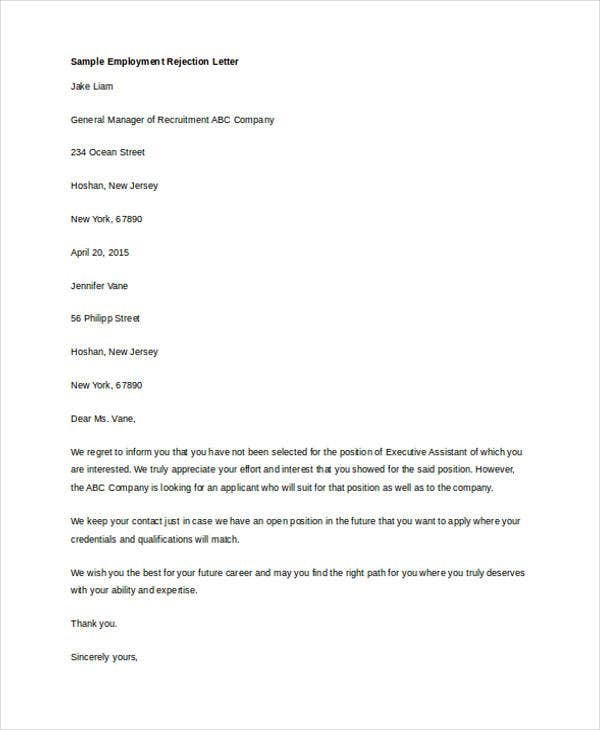 You can use these polite rejection letter templates as guides when in the processes of employment or any other business transactions. State your appreciation for the job offer. 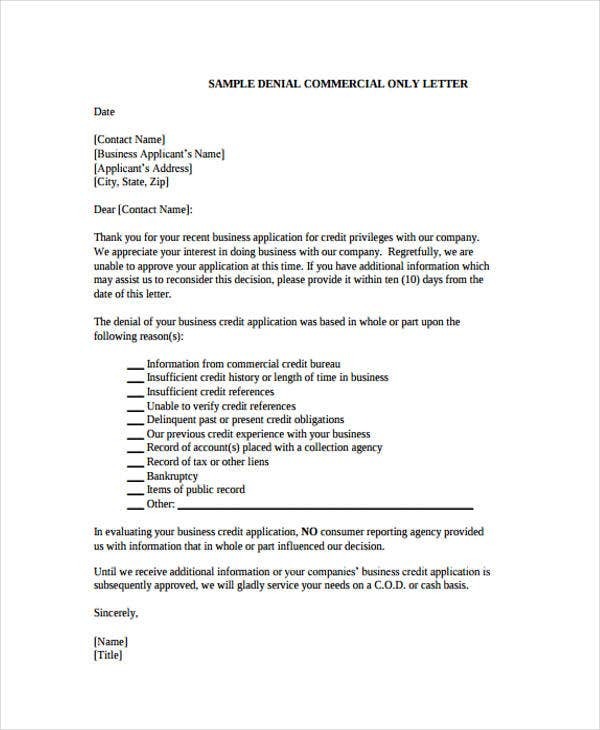 Use a professional manner of writing and business formatting. 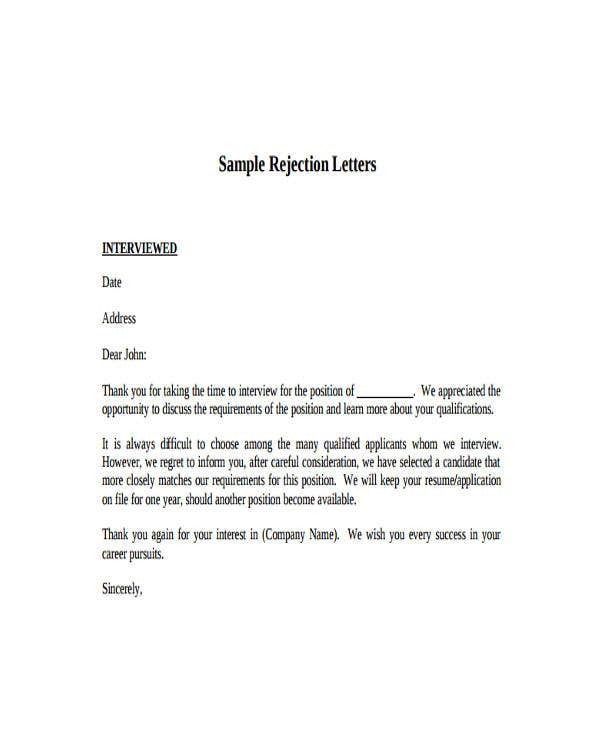 We have more Sample Rejection Letter Templates to guide you regarding this matter. Be precise in discussing your reasons for declining the job offer. Wish the company future success even if you will not be a part of it at all. 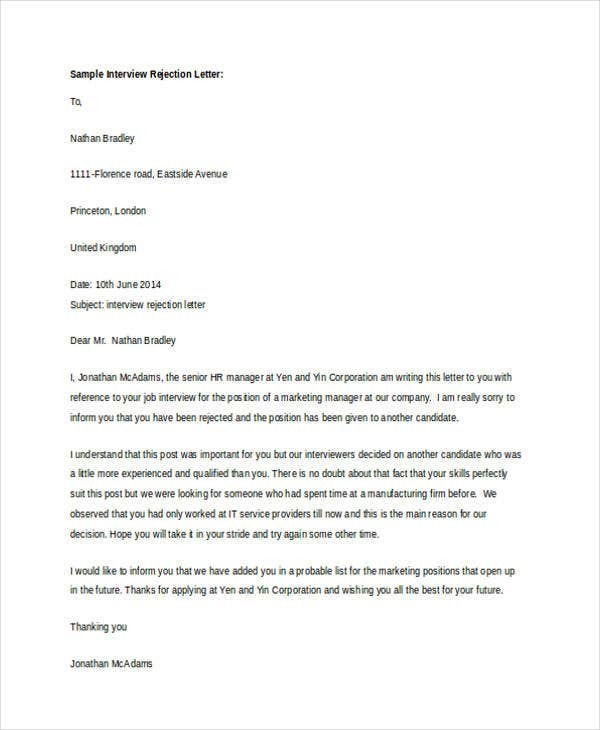 If you want to send your polite job offer decline letter through email, you may use our downloadable samples of Email Rejection Letters as reference. Send your gratitude for the candidate’s effort in applying for the job position in your company. 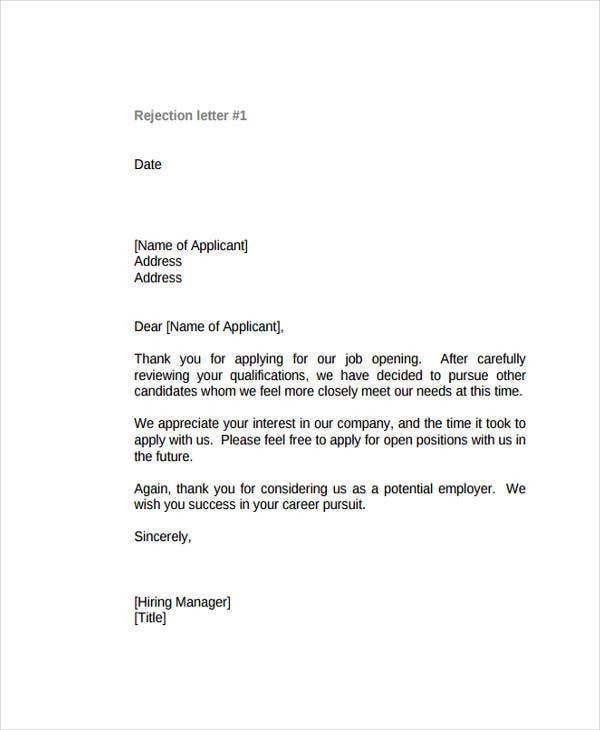 Directly tell him/her that his/her application has been rejected due to specific reasons. If you would like to, send a few notes for improvement as well as a list of the applicant’s merits. 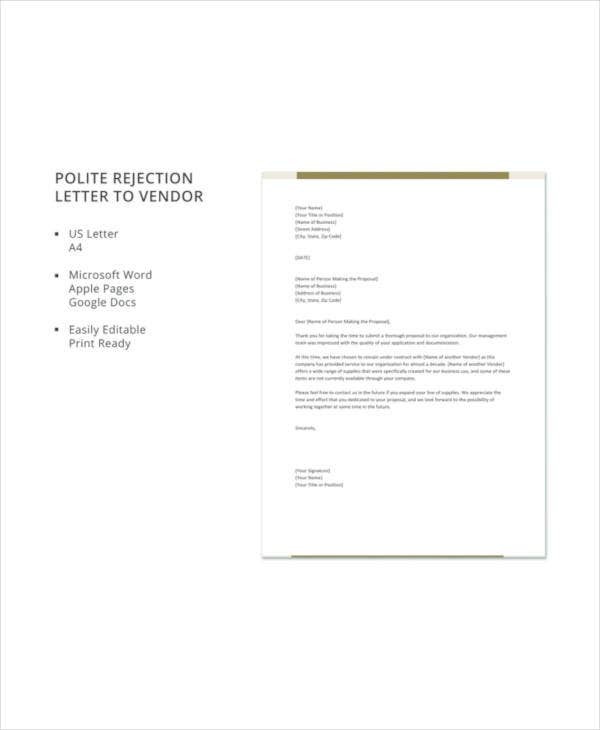 Aside from our polite rejection letter templates, our samples of Offer Rejection Letters are also available for download. 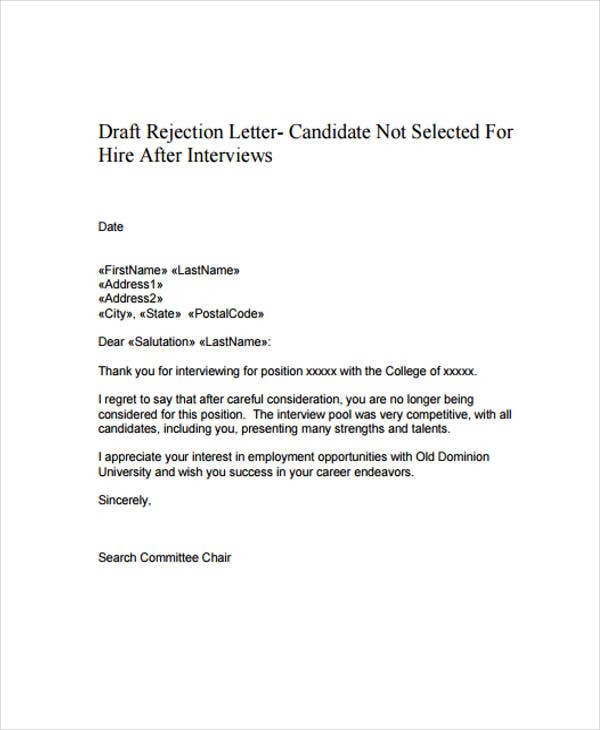 If you are writing Interview Rejection Letters, make sure to identify the key reasons as to why it is not necessary for an applicant to undergo the interview process. This should be done especially if he/she did not meet the minimum requirements of the work position that he/she is applying for. 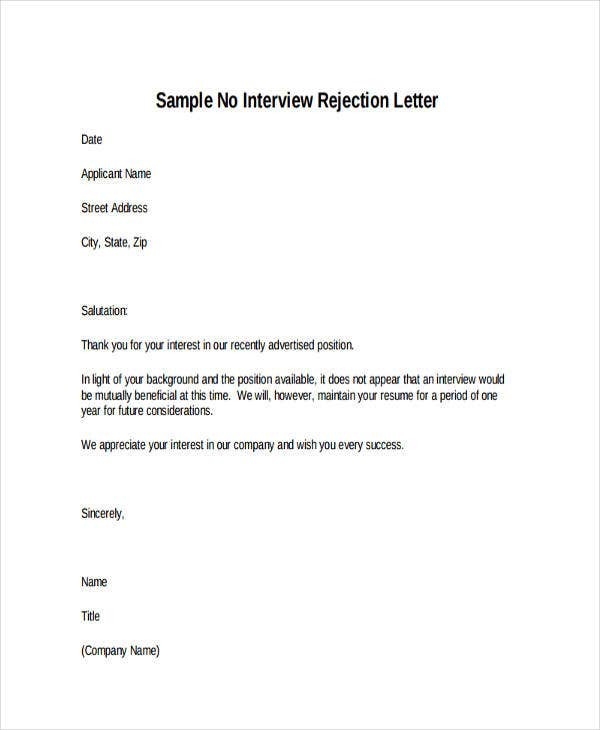 This will save both the employer and the applicant the time and effort required for an interview process. Your selection of words should be based on the transaction you will be rejecting. 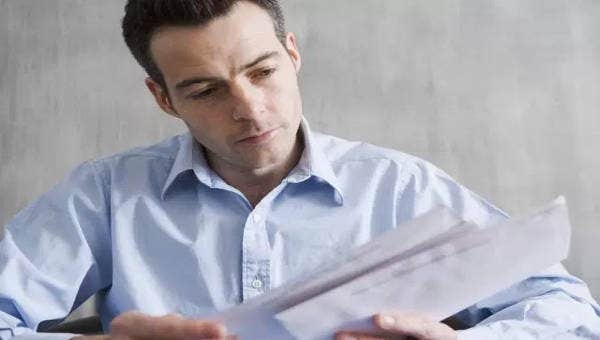 Avoid using harsh terms and negative comments as it will only worsen the content of the document. Be calm and collected in relaying a message of rejection. As much as possible, give positive remarks so as not to burn any bridges or to dishearten individuals. 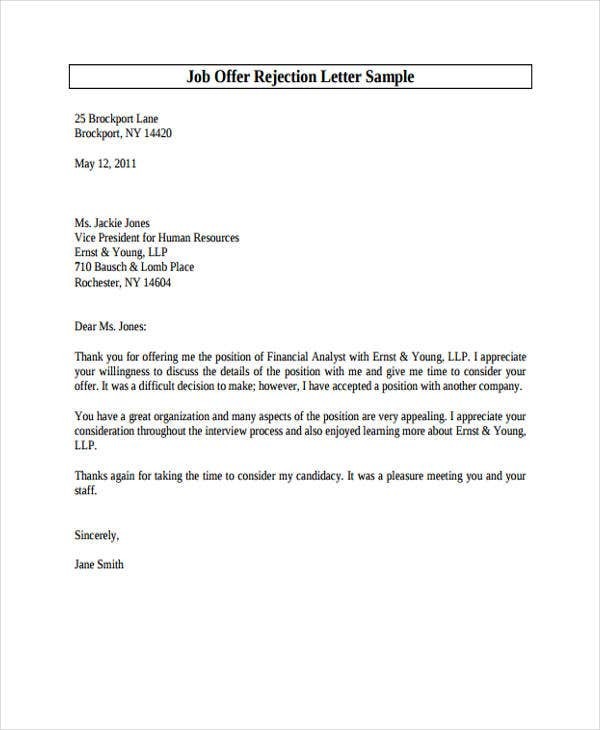 Other than our polite rejection letters and templates, we can also provide you with downloadable Cover Letter Examples in the specified link.